Schumer promised to take a polygraph on her show. The video collects allegations — some of which surfaced this weekend, others older — that Schumer copied material from Patrice O’Neal, Tammy Pescatelli, Kathleen Madigan, and Wendy Liebman. 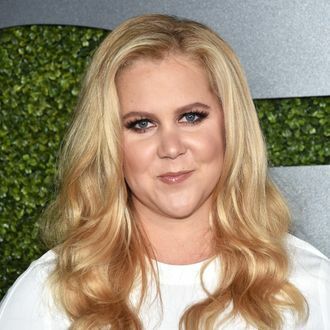 Talking to Norton, Schumer said that she had not seen any of their jokes before she performed her own and that any similarities were a result of parallel thinking, not plagiarism. She previously addressed similarities between O’Neal’s punchline and a line from her stand-up special on Twitter last fall. She also said that Madigan and Liebman do not hold the similarities against her. “They know me,” She said. “And they don’t believe that I would do that.” Liebman has already posted a tweet in support of Schumer.